Are you a peanut butter lover, yet cringe at the fat content? Lots of folks face the same peanut-enjoying dramaz. Peanut butter powder?! I was skeptical at first (maybe you are too). If I hadn’t seen it at Boy’s house, I would have never given it a second thought. ~ Due to new FDA guidelines on serving sizes, one serving of Organic PBfit is now updated from 12g to 16g. It now contains 8g of protein, has 70 calories and has 87% less fat than 1 serving of traditional peanut butter. Our PBfit recipe remains the same! ~ PROTEIN POWER: With 8g of protein in one serving of Organic PBfit you can get a boost of protein for your workout. Try adding it to the protein powder you already use or add it to your morning smoothie for a deliciously peanutty protein boost. ~ SIMPLE INGREDIENTS: Organic PBfit is made with 3 simple ingredients that you can pronounce: organic peanuts, organic coconut palm sugar & salt. Did we mention it’s all natural and gluten-free? Just pure, delicious, peanut butter flavor in a reduced-fat powder. ~ DELICIOUSNESS DEFINED: For a delicious, reduced-fat peanut butter spread, combine 2 tbsp. Organic PBfit with 1 ½ tbsp. water. Stir until smooth, and spread anywhere you would put regular peanut butter! ~ BLEND, BAKE or SHAKE: Mix into breads, pancakes or waffles to create a great peanut butter flavor. Toss a few spoonfuls into smoothies or shakes for a tasty, reduced-fat, protein boost. 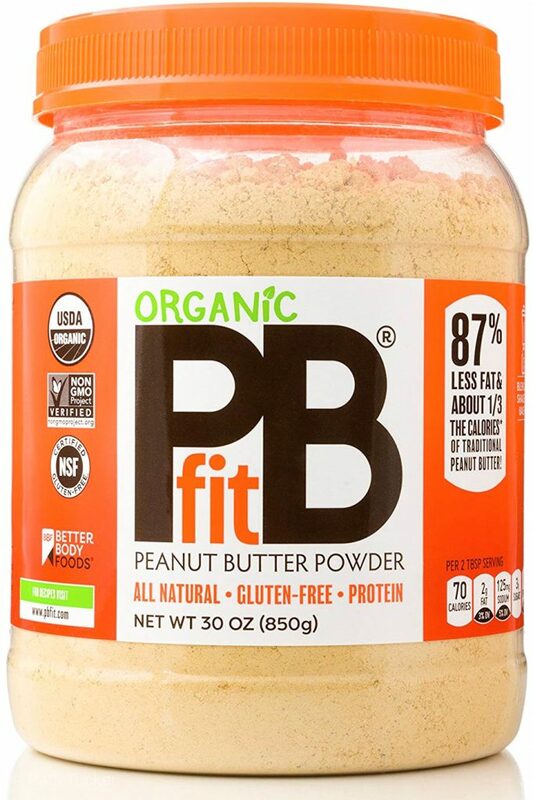 People go nuts for Organic PBfit and here’s why: they don’t expect it to taste as good as regular peanut butter. So when it does, they get super excited, even a bit obsessed. The peanuts that we use in Organic PBfit are grown without synthetic fertilizers in properly maintained soil. That makes Organic PBfit a cleaner, greener choice. Traditional peanut butter has 188 calories and 16g fat compared to 70 calories and 2g fat in PBfit per 32g serving. That means guilt-free smoothies, PBJs, peanut butter dips, oatmeal, protein balls, pancakes—you get the idea. It’s your new non-guilty pleasure. Foods Organic PBfit is made by gently roasting peanuts, and then pressing the peanuts to extract the majority of the oil from those peanuts. This process reduces the unnecessary fats that is found in regular peanut butters, but it still leaves a delicious, reduced-fat peanut butter powder that is chock full of flavor. For a reduced-fat peanut butter spread, combine 2 Tablespoons of Organic PBfit with 1.5 Tablespoons of water. It also gives a delicious protein boost to smoothies. You can also try substituting flour for Organic PBfit in your favorite baked goods recipes. I don’t know about you, but this is life-altering! Sure it has sugar and salt, but if you’re not a fan of the natural butters, this is AHHHH-MAZING. Less calories. Less fat. Easy protein. Happy peanut butter lovers. NEXT UP: I’m gonna experiment with using it in these cookies. I’ll keep ya posted. 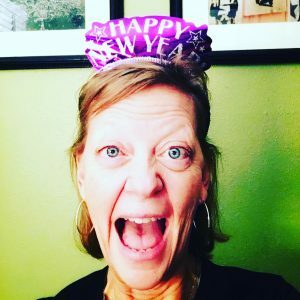 As a gal who has sweated past the menopausal shift, and is always looking for opportunities to decrease unneeded calories (so I can save them for the important stuff, like cake and champagne), this fits that need. Just reading from the description of less fat and calories, I’m sold! It’s a modern day miracle for peanut-lovers!